Alliance 393 combines the best characteristics of flotation tires and radial construction in order to provide superior performance on road and in field applications. 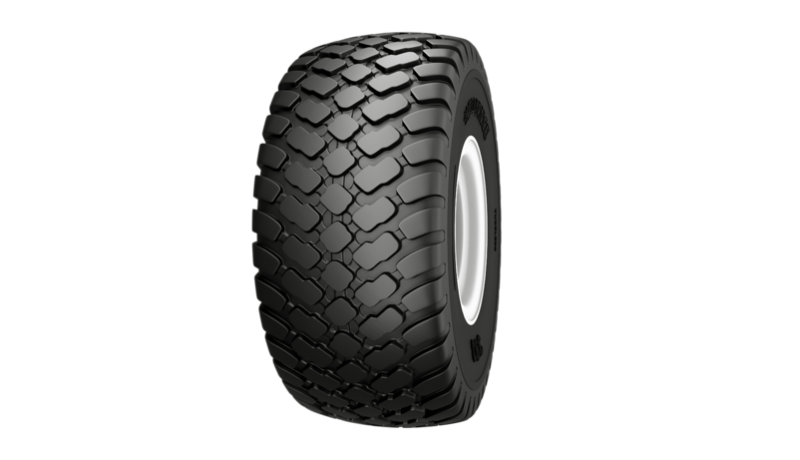 Alliance 393 combines the best characteristics of flotation tires and radial construction in order to provide superior performance on road and in field applications. It includes strong fabric carcass reinforced by steel belts. This pattern is characterized by directional blocks configuration ensuring the best possible self cleaning ability and assists in maintaining on-road direction. Due to its huge internal volume, the tire is also characterized by low inflation pressure of upto 3 bar (43.5 psi) promising low soil compaction for the highest possible load capacity. This tires stiffness is increased in both radial and lateral directions by additional ply added to the basic carcass.